Alpha is run over the course of 10 weeks. (Our April/May Alpha will be a lighter version for only 6 weeks.) Each session looks at a different question that people may have about faith and is designed to create conversation. 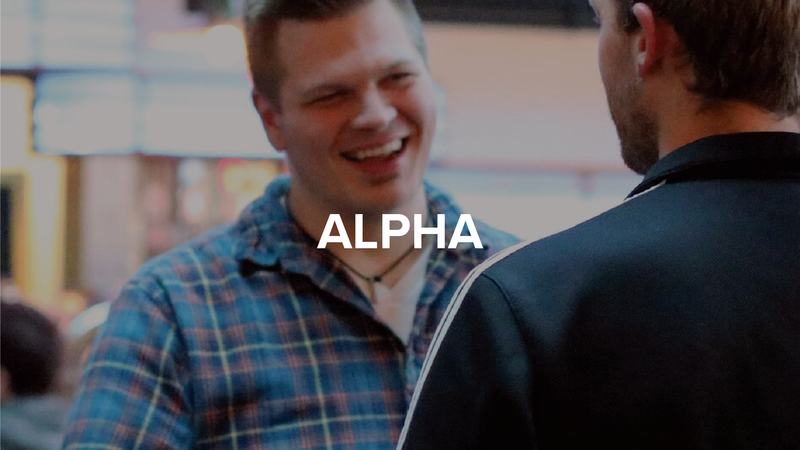 Alpha is not a Bible study. It's just an open, informal and honest space to explore and discuss life's big questions together. Each night includes food, a talk and a time for discussion. Anyone is welcome. The mission of Circles has always been to inspire and equip families and communities to resolve poverty and thrive. We believe strongly that responsibility for both poverty and prosperity rests not only in the hands of individuals, but also with societies, institutions and communities. It’s the underlying foundation of the Circles model – engage people and organizations in the community to end poverty. The Care Center exists to serve as an outreach to the needs of the surrounding community. Our services focus on equipping, encouraging and stabilizing those who are in need. The Care Center houses the Howard Suamico School District's Giving Tree Food Pantry and Circles - Green Bay. At times, life brings us to a variety of painful and confusing crossroads. These places are where crucial decisions to pursue God are made and we find most people are desperate for a relationship, not a religion. We need a safe, confidential, supportive atmosphere where we can find structure, encouragement and biblical teaching. We offer groups for Griefshare, Divorcecare, Reclaim, and Adult Children of Alcoholics (ACA), among others. We believe that God owns all things and is the creator and giver of everything we have. Since God calls us to be good stewards of what has been provided to us, we consider giving financially to the local church as an act of worship that is done not out of obligation but from a heart of gratitude and joy. We have trained budget counselors available to walk you through the process of learning and applying God’s financial principles. Contact Mark Beasley at for more information. FPU is a nine-week class for everyone, no matter what your financial state, in which you learn practical steps to beat debt, take control of your money, build wealth, and give generously. We offer FPU periodically during the year.